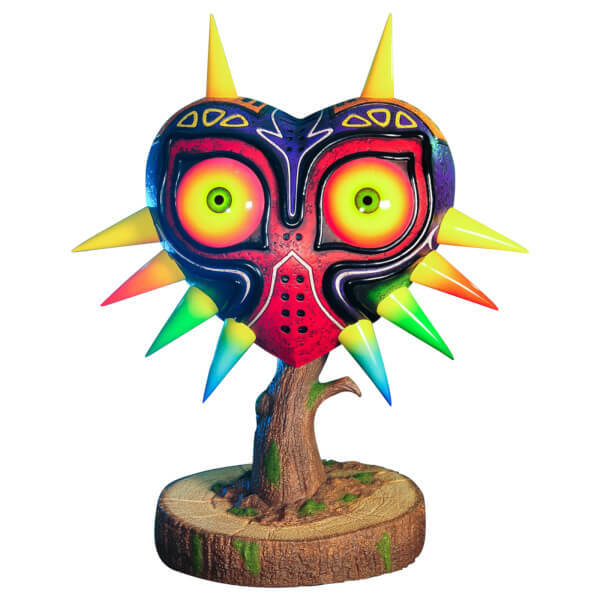 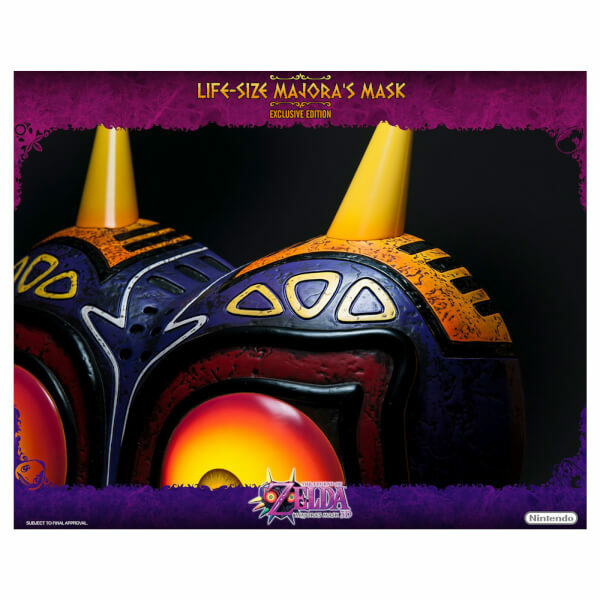 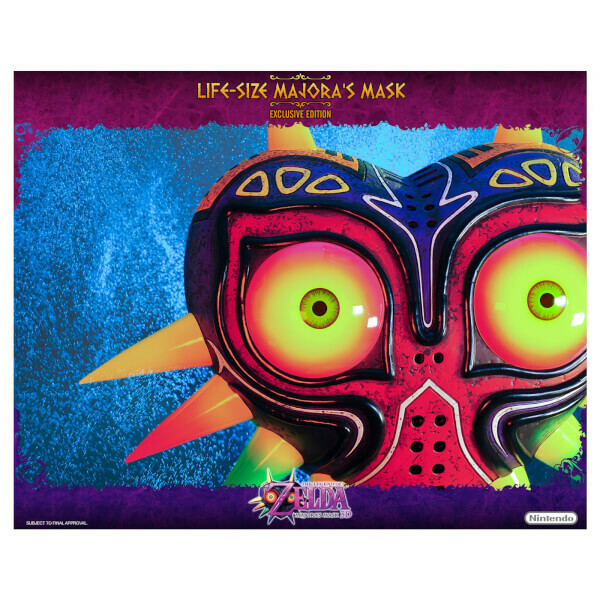 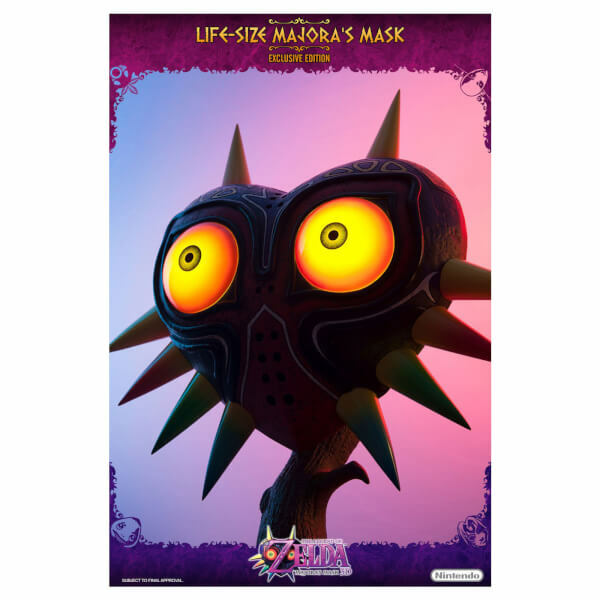 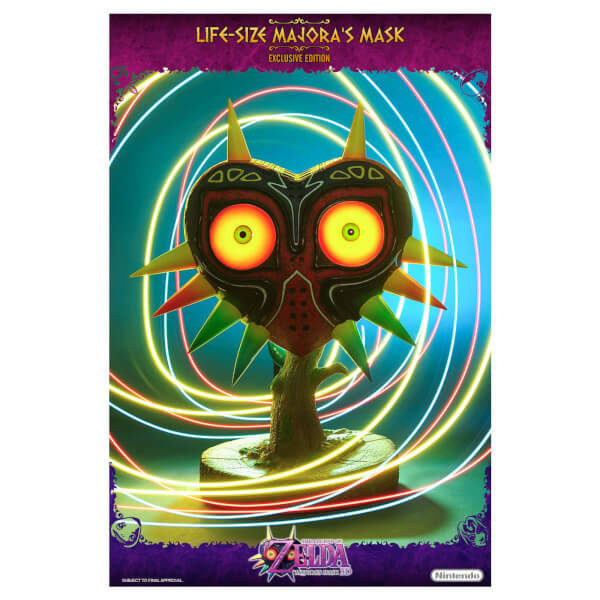 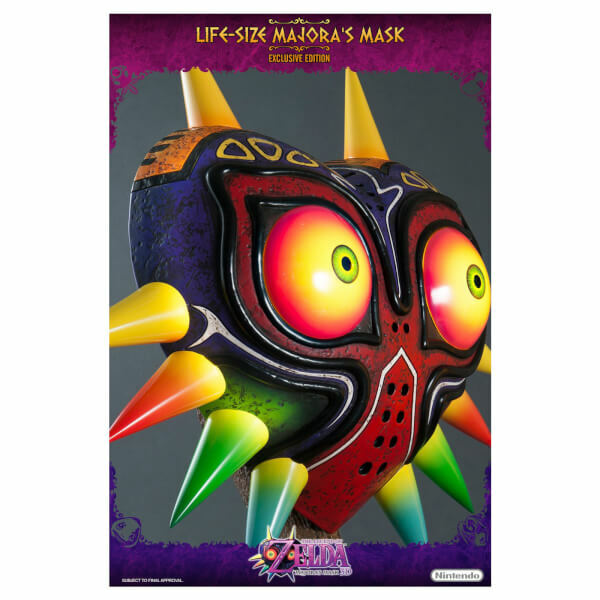 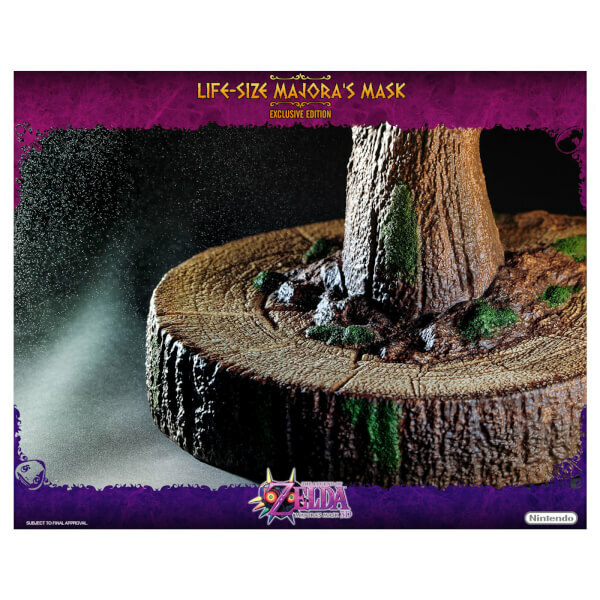 The Majora's Mask Life Size Replica Figurine makes for a stunning display centerpiece for any discerning The Legend of Zelda fan. 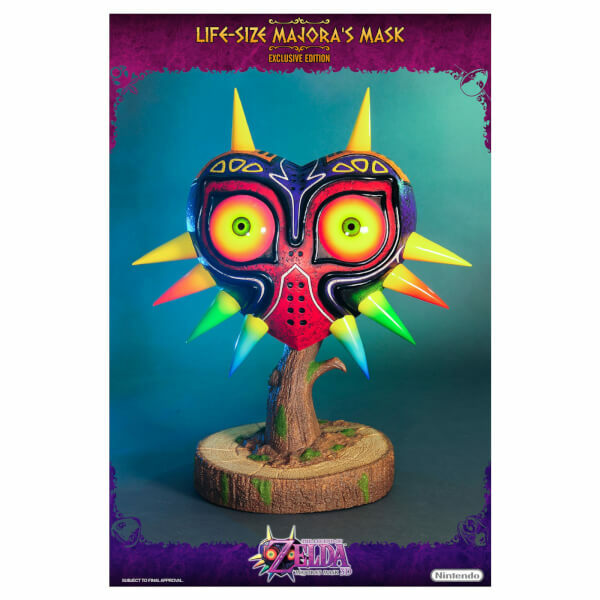 This is the Exclusive version of The Legend of Zelda: Majora's Mask Figurine, where LED's are included to allow the eyes to glow brightly, truly bringing the entire piece to life. 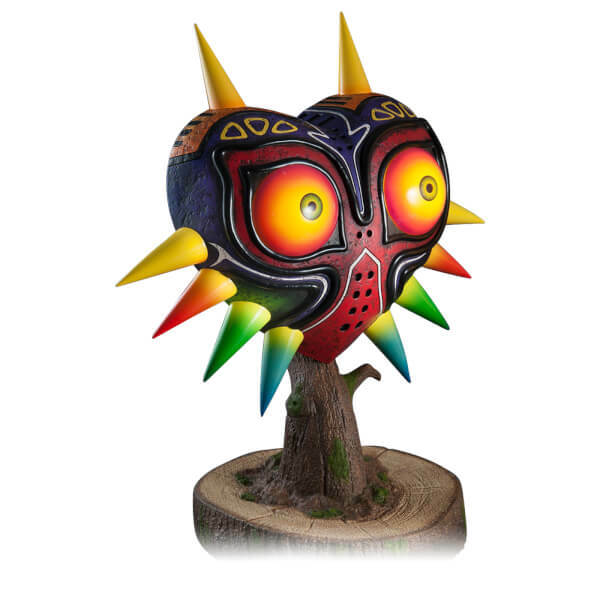 From the bottom of the base to the top of Majora's Mask, the statue measures 25 inches tall. 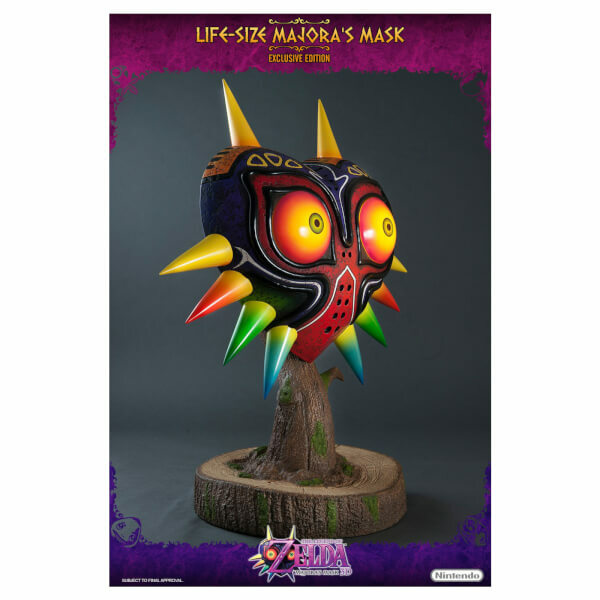 Overall, the statue measures 25 inches tall and 23 inches wide. 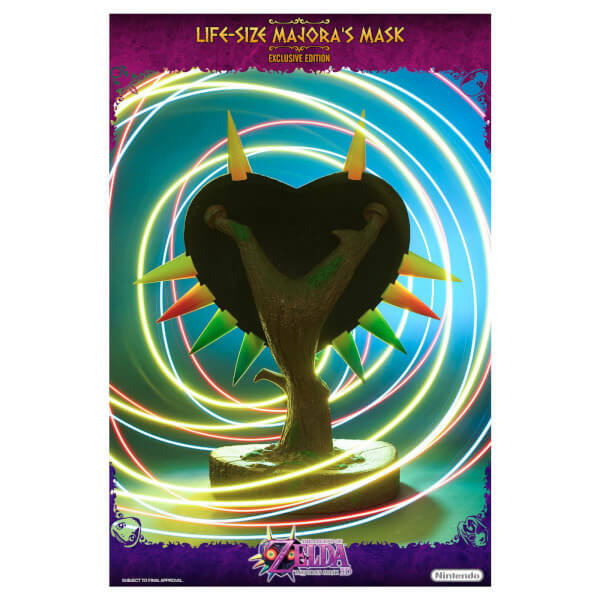 The figurine comes in deluxe full-color packaging with moulded foam interiors, hand numbered base and an authenticity card.